It’s here!!! The highly anticipated Jonathan Simkhai Freestyle Hi sneakers have finally reached store shelves. 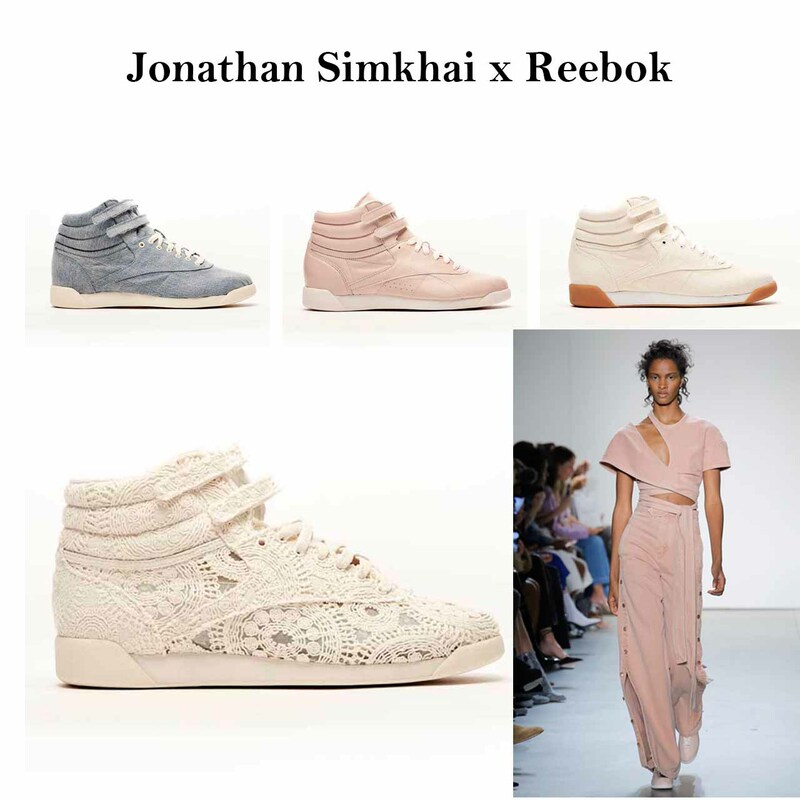 Unveiled last September at the Jonathan Simkhai Spring 2018 catwalk show during New York Fashion Week, this limited edition sneakers was inspired by the lightness and ingenuity of the Simkhai Spring/Summer 2018 collection. The custom Freestyle Hi sneakers are cloaked in the designer’s signature fabrics, including ecru crochet, indigo denim, ecru denim, and powder pink leather. These covetable styles are available for purchase beginning on March 6th, 2018 exclusively on www.FarFetch.com and www.JonathanSimkhai.com. The leather and denim styles retail for $225 and the crochet style retails for $245. Originally introduced in 1982, the Freestyle Hi was the first fitness sneaker created and marketed towards women, and it remains an important women’s lifestyle silhouette to this day. The partnership between Reebok and Simkhai is a natural match. Simkhai, whose own company’s mission is to create clothes that embolden women with confidence and ease, was moved by Reebok’s history of promoting women’s fitness and style with its line of classic styles. As both companies continue to provide innovative, stylish, and comfortable designs for the modern woman, they are part of an effort to continue evolving in the fashion space.